UNER > Uno Eriksson, Nora. UNER > Uno Eriksson, Nora. ^ back to UNER in reg. Andra cykelmärken från Nora. Ω Vykort. Andra cykelmärken från NORA. VÄSTMANLAND. Andra towns, villages./ Sveriges landskap. NOVE ................ Nora Velocipedverkstad NV. Bicycle brand has nothing in common with outboard motor. Engines Division (15), Brockhouse Engineering Ltd., Crossens, Southport · Lancs. Distributor for S.E. England : J. James (London) Ltd. 55/56 Pall Mall, London, S.W.1. 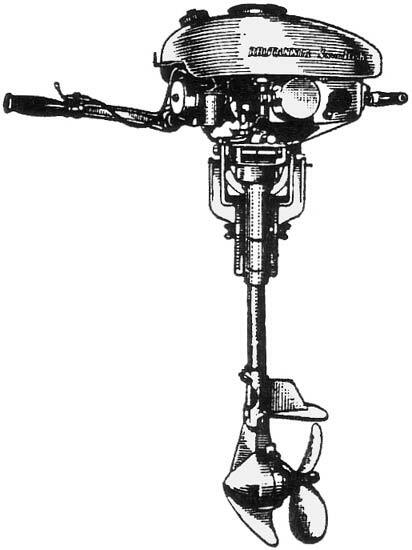 You certainly cannot buy a better outboard than the Britannia Swordfish or the well-known Britannia. The quality of workmanship and material is guaranteed - for they are made by Brockhouse. Each is a 4 h.p. Twin, with water pump cooling ; under-water exhaust ; watercooled silencer. All under-water bearings are of noncorroding phosphor bronze. The driving shaft is of stainless steel. 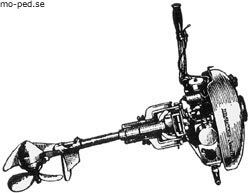 Among other refinements the Britannia Swordfish has variable ignition control. * The motor can be completely reversed so that the boat can be stopped in one length. * Power head designed to give maximum protection from rain and spray. ENGINES DIVISION (15), BROCKHOUSE ENGINEERING (SOUTHPORT) LTD.
CROSSENS, SOUTHPORT, LANCS. LONDON OFFICE: 25 HANOVER SQUARE, LONDON, W.I. The MARINER 4 h.p. Twin Inboard Engine.